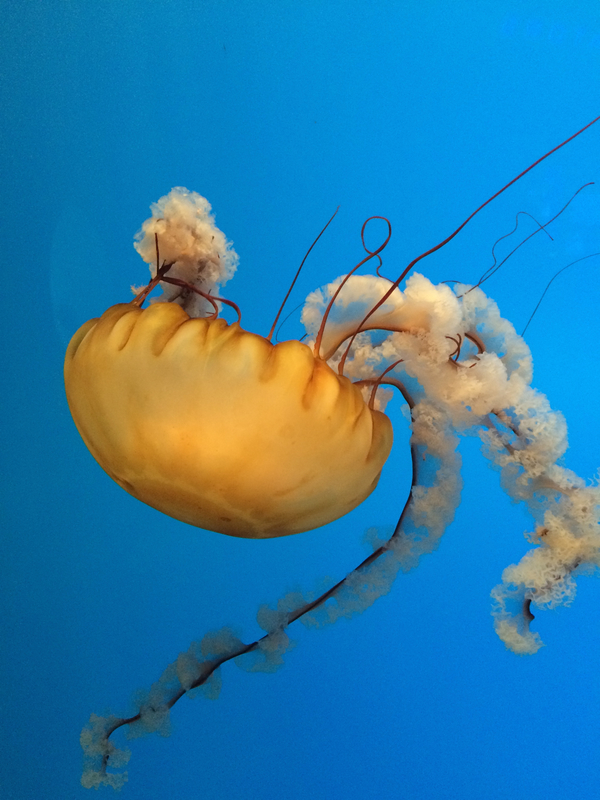 For our final spring break adventure, we took a day trip to the National Aquarium in Baltimore. Located at the Inner Harbor, we visited on a cold, overcast spring day. Rescued near Long Island, this turtle only has one flipper. You could say he’s “all right” (Shout out, Arrested Development fans!) No word on if he’s named Buster or not. The Aquarium is divided into three main sections. The reef is the largest exhibit. 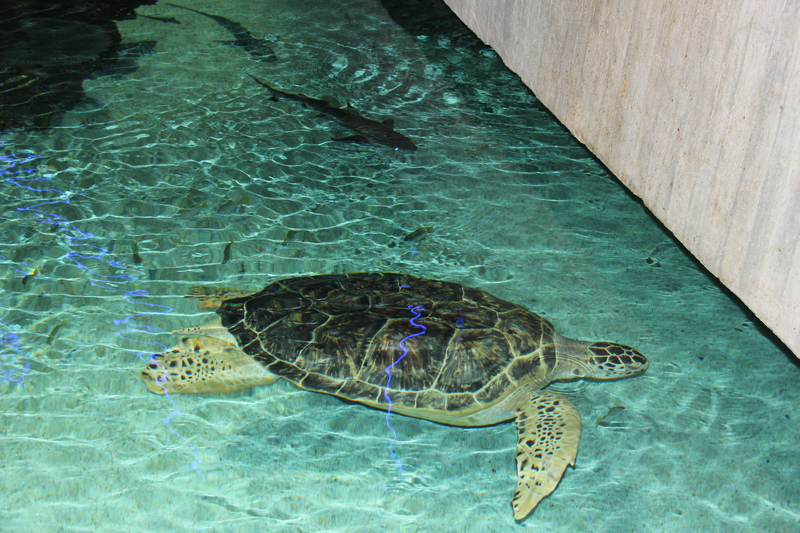 Visitors walk through, starting at the surface with rays and turtles and then trailing into the depths to see the sharks. 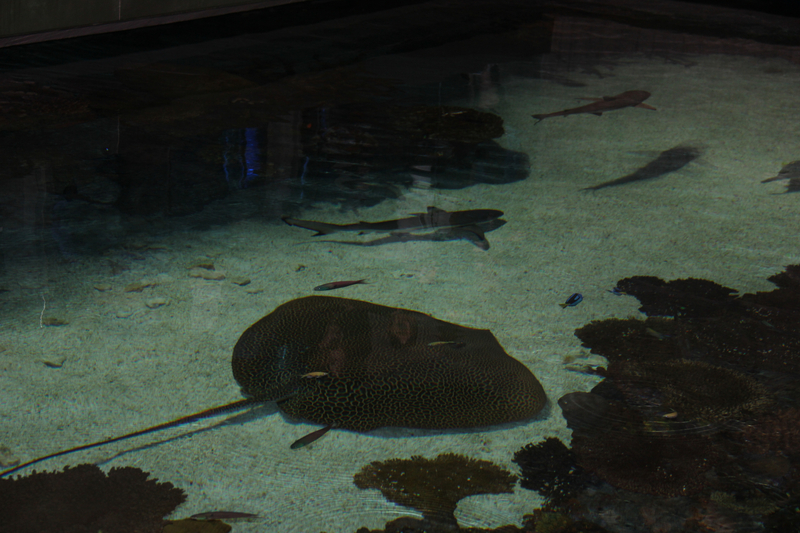 Other fish exhibits are studded throughout. 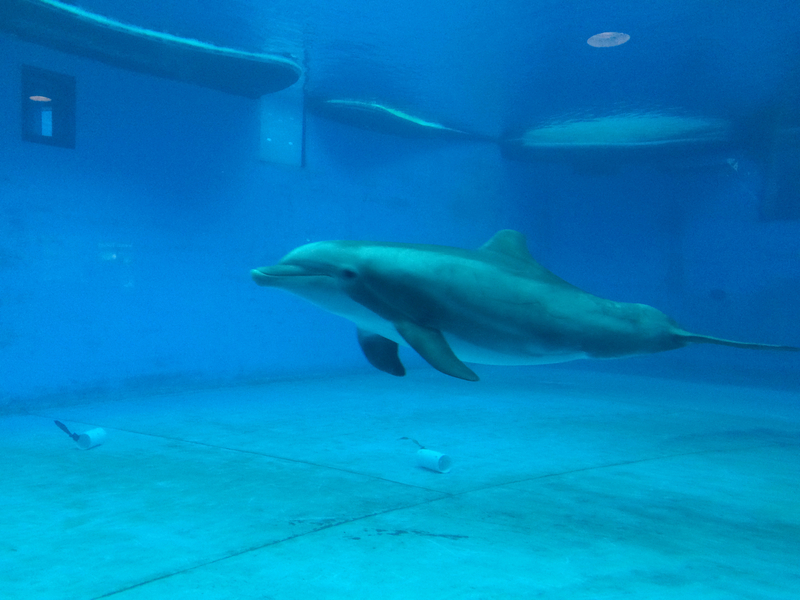 A second area is devoted to Dolphin Discovery. 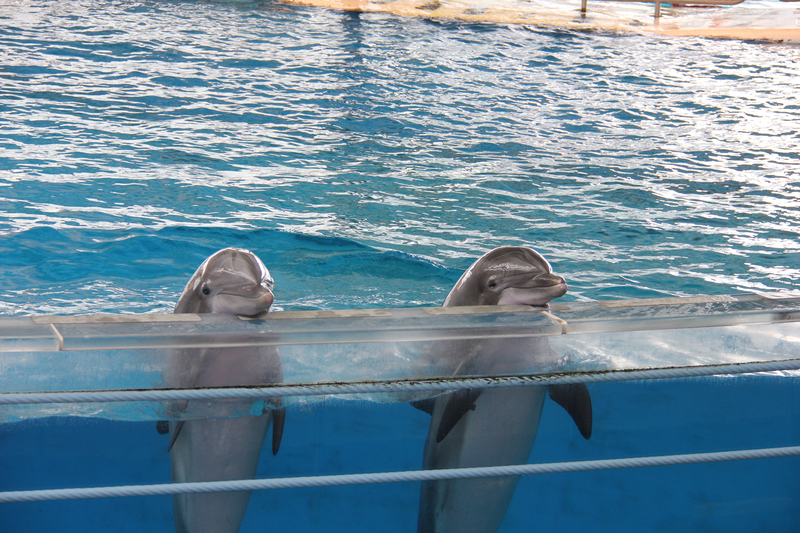 The aquarium has five female dolphins and two young males. We stayed through feeding time, which Fox loved. Downstairs, in that same section, there is a small cafe and a lovely and surprisingly peaceful display of jellyfish. Super proud that I took this shot on my iPhone! There is a third section that houses a rotating exhibit by Animal Planet. Currently, it’s the wildlife of Australia. When I heard about all the snakes on display, I fled so I didn’t see the exhibit. Fox and The Pilot seemed to like it though. 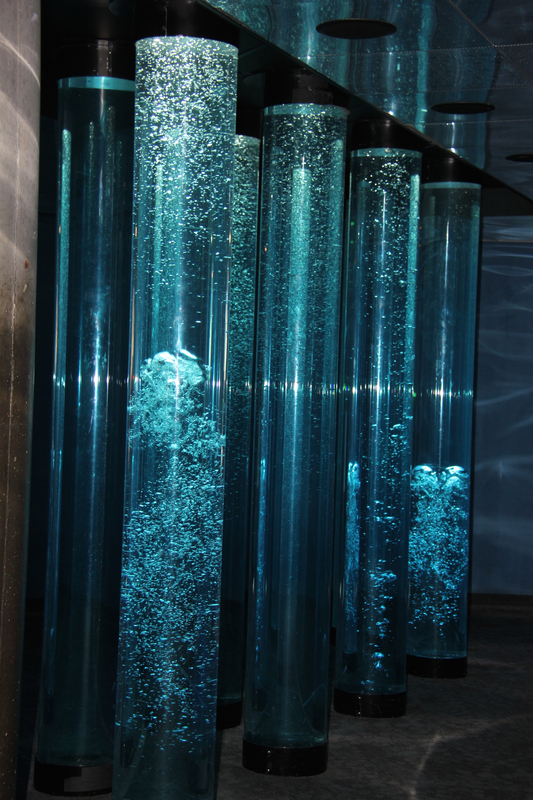 I remember these bubble tubes from going to the Aquarium with my sister as a kid. They look like something out of Star Trek to me. I loved that they had quotes on the walls throughout the exhibits. 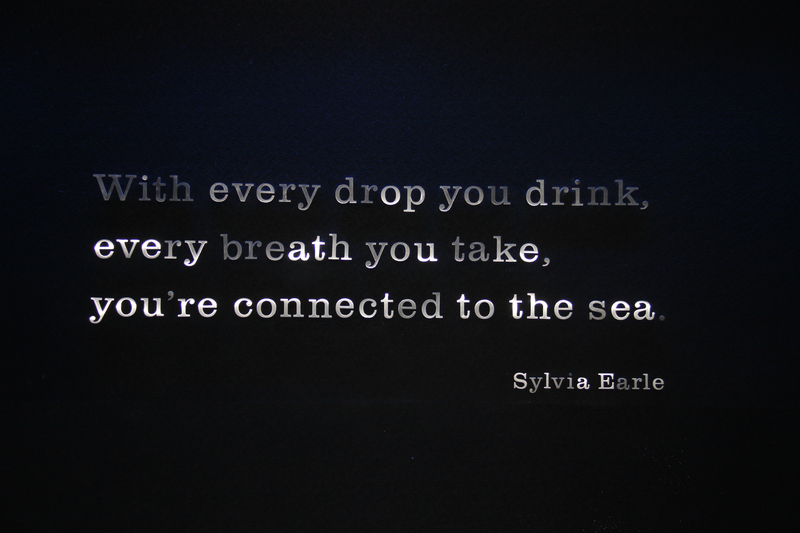 This one says “With every drop you drink, every breath you take, you’re connected to the sea.” Sylvia Earle. There is also a big gift shop and a spacious cafe, with lots of healthy options. We had a great time and Fox can’t wait to go back.